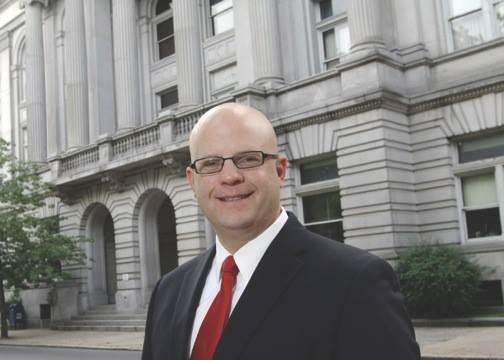 With some legal troubles behind him for the moment, Rensselaer County District Attorney Joel Abelove is now looking ahead toward the November election. WAMC's Capital Region Bureau Chief Dave Lucas spoke with the Republican DA about his bid for a second term. Even with the possibility that the attorney general could file an appeal to re-instate the criminal case against him, Abelove says he's hitting the campaign trail. "Petitions are out, As you know, it's petition season right now, fundraising is going on, campaigning door-to-door is going on. It is absolutely full-steam ahead for relection this fall. Abelove, who won the seat by just a few hundred votes in 2014, says he is passionate about his job. "I've been a prosecutor my entire professional career. This is what I do and it's because I love to do it. I love to serve the people of Rensselaer County. I've worked with crime victims for many many years, and it brings us great satisfaction in the office when we can help people in their time of need, when they're looking for justice and they've got nowhere else to turn, we can provide a certain measure of justice and closure for victims and their families when they become victims of crime. And it's tremendously rewarding and satisfying work. which is why I'm going to be reelected, because I've just worked so hard at this job because I care. I'm very very passionate about what I do. I rarely take any time off. This is my life's work it's to be a prosecutor, and I'm very confident that not only those who know me, but those who wish to look at my record and the office of record of what we do around here on a daily basis, will withstand any scrutiny." The threat of a trial that would have begun this week led to new round of critical press coverage of Abelove. A scathing New York Times editorial "When the People’s Lawyer Breaks the Law" published in December depicted the D.A. as a "renegade" who "showed his contempt for the law and his unworthiness to hold office last year, when he brazenly obstructed a state investigation of a fatal shooting by a police officer in Troy." Nearly a year earlier the Albany Times Union ran an editorial titled "Time to go, Mr. Abelove." "When the facts of this case were applied to the law, the court dismissed the charges. It would be nice if these publications would now publish something perhaps saying, 'Well you know what? We got it wrong.’ It turns out somebody shouldn't have to step down when they're being accused of something we don't have all the facts about, especially when they're later vindicated." Abelove adds people are entitled to their opinions. He notes he "received nothing but overwhelming support from the community" in recent months. "Many many people who reached out to me from both sides of the aisle had expressed to me that they felt this was a politically motivated prosecution and they're very glad to see that it appears to be over and I can put it behind me." Abelove says the focus is on the November election, with the opioid crisis looming as the number one issue facing the county. "We can never do enough. And we've tried to impress upon the public that this is not a problem that will be solved by law enforcement alone. We cannot arrest our way out of this epidemic. It's going to take the commitment of everyone in our community. Businesses, schools, government officials, to educate and prevent people from getting involved with these substances in the first instance, because it's much more difficult to try to assist somebody once they've already become addicted." Abelove faces a challenge from Democrat Mary Pat Donnelly, an Independence Party member who resigned as an East Greenbush town justice to enter the race. Abelove says he and Donnelly have agreed to run positive campaigns. But he's ready for anything. "I talk about my qualifications and I talk about what I perceive to be her lack of qualifications. There are no personal attacks involved here. And if my opponent is going to quote, you know, quotations from newspaper articles and op-eds, I would just ask the voters to consider the source of where those opinions come from. We deal in the world of facts and evidence in a District Attorney's office and not speculation and conjecture and political opinion. So if my opponent would like to talk to me about qualifications, I'd be more than happy to do that." 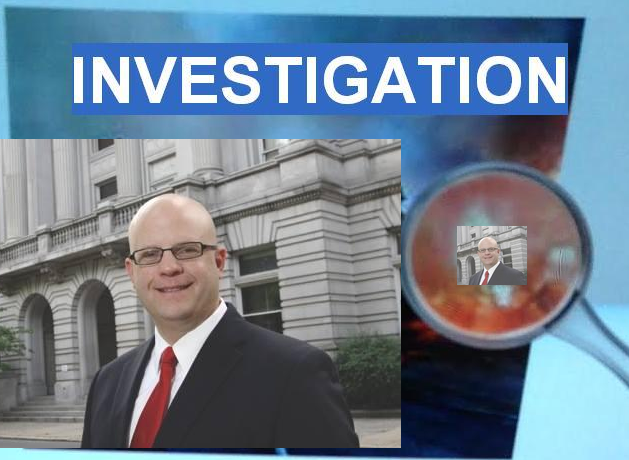 Rensselaer County District Attorney Joel Abelove tells WAMC he has been “vindicated” after a judge dismissed misconduct and perjury charges against the Republican this week. Former New York Attorney General Eric Schneiderman, a Democrat, filed the charges over the DA’s handling of a deadly shooting by a Troy police officer. Abelove says he doesn’t know how the AG’s office will respond, but said the disgraced Schneiderman has his own legal troubles. A judge has dismissed criminal charges that were brought against Rensselaer County District Attorney Joel Abelove by New York’s attorney general. The fallout from a scathing report by the New York Attorney General into a Troy Police civilian shooting death and its aftermath continues. As the new year draws closer, there are some new faces in several public offices across the region. Republican Joel Abelove won the race by less than 500 votes, a finish that mirrored the strong Republican showing across New York and nationwide in the November elections. "I don't doubt that that helped me out. I mean, issues like the SAFE Act, displeasure with certain policies of the governor, I gotta believe that that certainly played a role."